27th April: Leicestershire Foxes versus YORKSHIRE VIKINGS; at Hinckley. YORKSHIRE VIKINGS won the toss. Coad and Pyrah bowled the only maidens of the match, but their efforts were in vain. 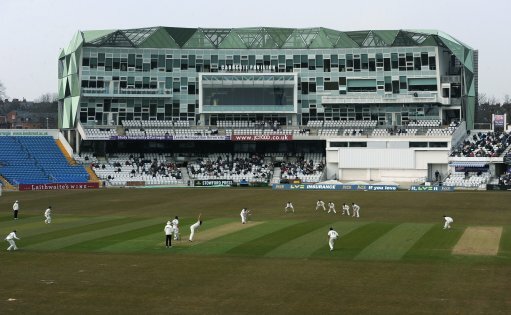 Yorkshire's cause was undermined by failures from Gibson and Hodgson. Leicestershire Foxes won by three wickets. Leicestershire Foxes two points, YORKSHIRE VIKINGS no points. 15th June: YORKSHIRE VIKINGS versus Derbyshire Falcons; at Marske-By-Sea. YORKSHIRE VIKINGS won the toss. The hosts managed to bowl 6 maidens, while the Falcons' only maiden over came from their captain, Jonathan Clare who conceded a mere 14 runs from 5 overs. Derbyshire Falcons won by four wickets. YORKSHIRE VIKINGS no points, Derbyshire Falcons two points. 9th July: YORKSHIRE VIKINGS versus Lancashire Lightning; at Pudsey. Lancashire Lightning won the toss. Karl Carver was the only Tyke to bowl a maiden, but he was still the most expensive, conceding 35 runs from 3.5 overs. This roses clash was horribly one-sided. Lancashire Lightning won by nine wickets. YORKSHIRE VIKINGS no points, Lancashire Lightning two points. 15th July: Unicorns versus YORKSHIRE VIKINGS; at Long Marston. Unicorns won the toss. The hosts had been reduced to 21-2 but then cruised to victory. Ben Coad and James Wainman bowled quite well, but the batting effort was a complete debacle. Unicorns won by seven wickets. Unicorns two points, YORKSHIRE VIKINGS no points. 20th July: YORKSHIRE VIKINGS versus Birmingham Bears; at York. Birmingham Bears won the toss. The hot and cold Maxwell smashed thirteen fours and one six in his 53-ball stint. Ben Coad then bowled eight overs at a cost of only sixteen runs, with two wickets. YORKSHIRE VIKINGS won by 48 runs. YORKSHIRE VIKINGS two points, Birmingham Bears no points. 10th August: Durham Jets versus YORKSHIRE VIKINGS; at Chester-le-Street. YORKSHIRE VIKINGS won the toss. Pyrah only conceded 30 off his ten overs. The rest of the Yorkshire attack were demolished by an experienced Durham top order. Macleod smashed 104 off 59 balls. Durham Jets won by 123 runs. Durham Jets two points, YORKSHIRE VIKINGS no points.